For the hip, upwardly mobile professional living in or moving to Downtown Miami, lofts are becoming a very chic and cool place to live. Probably one of the most popular condominiums with loft-style units is Loft 1 and Loft 2 Downtown. 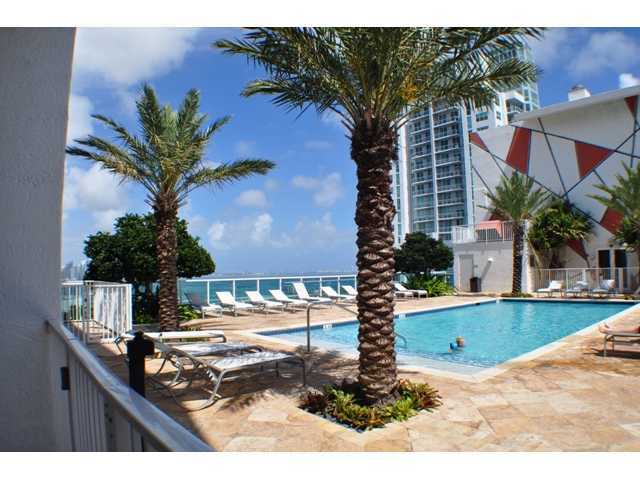 They combine the chic lifestyle of South Beach with the urban feel of a metropolitan loft. Built in 2006 and 2007, respectively, Loft 1 and Loft 2 Downtown are the products of forward thinking developer, The Related Group and the architecture firm, Cohen, Freedman, Encinosa and Associates. Loft 1 has 24 stories with a two-story lobby and 196 residences in the building (only nine per floor). In Loft 2, the building hosts another two-story lobby and 36 stories with 496 units. 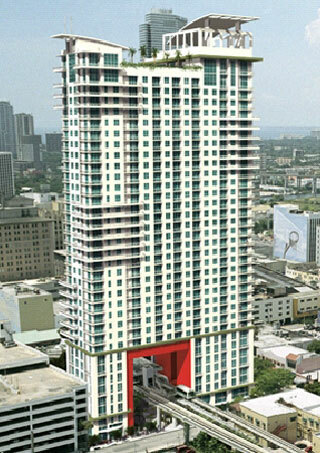 Miami developer, The Related Group, was behind the concept and development of the Lofts 1 and 2 Downtown and enlisted Cohen Freedman, Encinosa and Associates to design the buildings. The Related Group has developed some of the area’s most well-known residential condominiums including Icon Brickell, 50 Biscayne, My Brickell, and Icon Bay (currently about to begin construction). Cohen, Freedman, Encinosa and Associates have designed such condominiums as Brickell on the River, Uptown Lofts and other landmark buildings. These urban lofts are located in the heart of Downtown Miami with Loft 1 Downtown at 234 3rd Street and Loft 2 Downtown at 133 2nd Avenue. In the center of everything, The Lofts are a block away from Bayfront Park and within walking distance to most everything in Downtown Miami including the Performing Arts Center, Bayside Market and more. 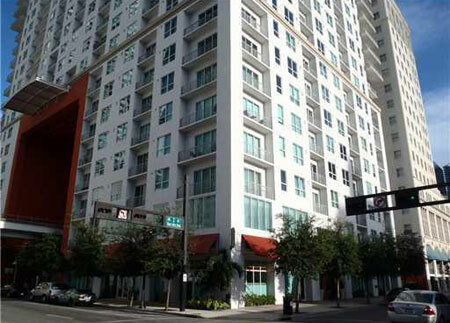 Situated adjacent to Miami’s Metro Mover system, residents can live in Miami without owning a car. Downtown Miami is a thriving cultural mecca with so much going on. As a prosperous part of the city, it offers the best of metropolitan living in a tropical paradise. The Lofts 1 and Lofts 2 Downtown have so much to offer their residents. Each building is a “smart” building that is pre-wired for high-speed internet and cable television; tinted, energy efficient and impact resistant windows; state of the art fitness centers with a sauna, steam room; outdoor pool; 24-hour concierge and valet service; and, so much more. Inside each studio, one and two-bedroom homes, while the spaces are smaller than many other condominium residences, each has a wide open space with 10-foot ceilings and an interior design that has an authentic loft feel. 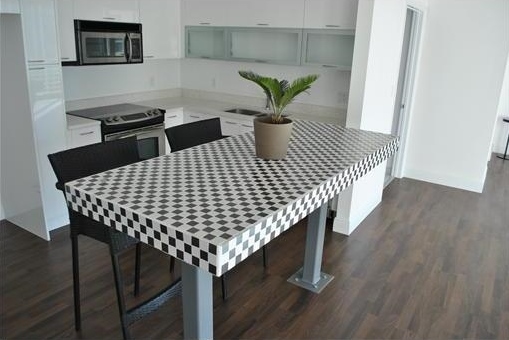 Updated appliances in open, eat-in kitchens and large areas make living at the Lofts easy and comfortable. In addition to designer fixtures and finishes, homeowners enjoy a contemporary atmosphere with unique concrete floors and ceilings as well as panoramic city and Bay views. Some homeowners have installed hardwood flooring to create their own aesthetic. Lofts 1 and 2 real estate features studios and one and two-bedroom homes. At the Loft 1, the building is somewhat smaller with only 196 units on 22 floors (nine per floor) while Loft 2 has 34 floors with 396 units (about 12 per floor). In Loft 1 there are only nine units for sale (as of this writing) that are priced between about $165K and the mid-$300s while 14 units on the market priced between just under $200K to almost $400K. Over the past six months, there have been 22 sales in Loft 1 Downtown with sale prices between $110K and $210K while in Loft 2 Downtown, there have been 50 sales with sale prices between $110K and about $340K. The average number of days on the market range between just over 20 days and almost 90 days. Because these are much more affordable, offer so much for the price tag and are so popular, they sell quickly. As for Loft 1 and 2 Downtown rentals in either of the buildings, monthly rental rates fall anywhere between about $1,300 and $2,600. With these kinds of rental rates and the reasonable sale prices, this is an excellent opportunity for investors. 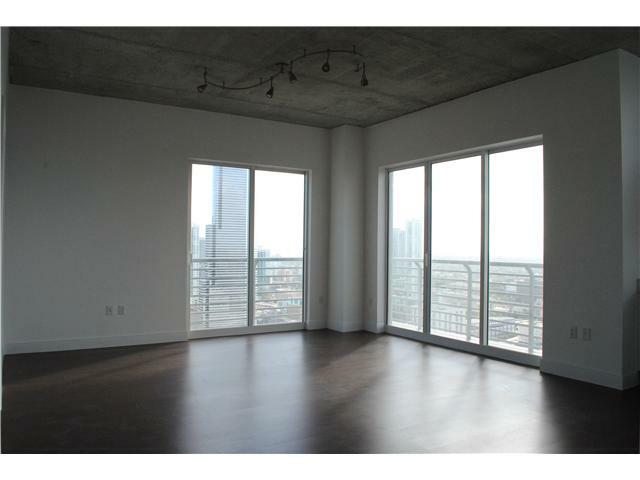 The Lofts Downtown 1 and 2 are excellent real estate opportunities for many different buyers from first time buyers to investors to international buyers who are frequently come to Miami for business. With all that the buildings offer as well as what is in each unit, it is truly understandable why these sell so quickly.